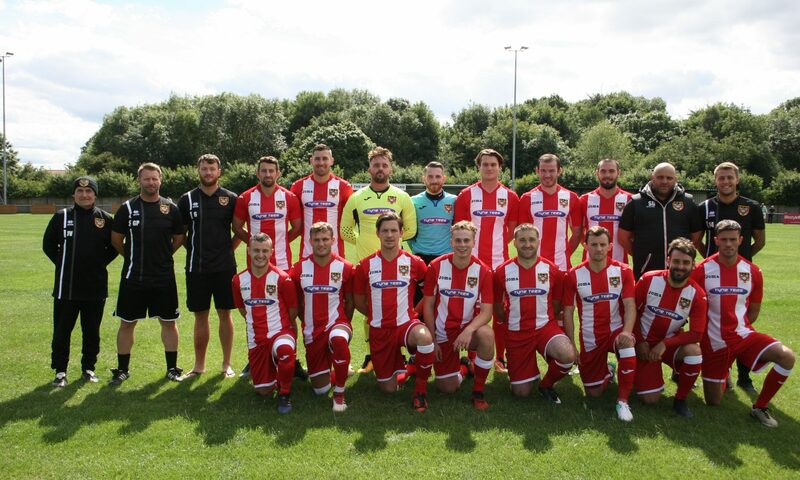 Ryhope CW exited the FA Cup at the extra preliminary round following a 5-2 defeat away to Sunderland RCA. RCA got off to a quick start and were 2-0 up inside 20 minutes thanks to strikes from Mark Davison and Michael Charlton. Ryhope got back into the game thanks to an own goal from a Nathaniel Skidmore free-kick, making the score 2-1 at half-time. Davison and Larkin added goals after the break to make it 4-1, however another own goal for Colliery Welfare looked to set up a tense finish for the hosts. But it wasn’t to be, Larkin putting the game beyond doubt in the 79th minute. The match attracted a great deal of exposure for football in Ryhope, with a good attendance of 173 at Meadow Park and the BT Sport cameras in to catch the story of the game. Sunderland RCA dominated the early phases of the game and were in the lead after three minutes. Ryhope CW failed to clear a ball from the left, it eventually fell to Stephen Callen whose effort was saved by Jonny Ball but Davison pounced on the rebound to tap in. RCW had their first good chance when James Ellis got the ball in good space after a poor kick from RCA ‘keeper Scott Pocklington. Ellis ran through on goal but Pocklington made amends with a save. RCA had another good chance when Larkin hit the post in the 13th minute, Charlton then firing the follow-up wide. The host then doubled their lead in the 16th minute, Charlton getting the ball just inside the box, he did well to make space for himself to release a good left-footed strike into the left corner. From the 20th minute, Colliery Welfare’s performance improved and they had an opportunity when a good through ball from Bott found Ellis with good space to run into, he attempted to square it to Rae but his ball was cut out. Ryhope still struggled to create but started to get into the game a bit more, and they pulled a goal back in the 37th minute when Skidmore’s free-kick from the left ricocheted off RCA defender Ross Preston and in. RCW managed a couple more chances before the break, a good long range effort from Robbie Bird was saved and Ben Riding met a James Ellis free-kick but headed over. Rae had an effort from a James Ellis cross cleared off the line by an RCA defender. This left it all to play for, after a poor start Colliery Welfare got themselves well back into the game. However, RCA restored a two goal lead in the 61st minute, Davison heading home a Dylan Elliott corner that was won on the break from a Colliery Welfare attack. RCA scored on the break again in the 68th minute, Home-Jackson was brought down in the box, it looked a clear penalty, the ball was played through to Larkin who looked offside and he ran through to finish past Ball. It felt like we were down and out, but RCA’s lead was cut back down to two goals in the 70th minute after another own goal. Ellis drove a low cross into the box, it came off an RCA defender and in. With two goals in it and 20 to play, it felt like another Colliery Welfare goal may tip the game on it’s head. Joey Melvin came closest to cutting the deficit down to one, his good long range strike on his left foot matched by Pocklington. But RCA extended their lead to three goals again in the 80th minute, Larkin running with the ball through on goal and making no mistake with his finish. No arguments with that one. Both teams were reduced to 10 men in added time, Ben Riding and Stephen Callen sent off following a scuffle. It was a typical derby game in many ways with some scrappy moments, some aggression and some moments of quality. Hopefully, it was a good advert for how entertaining football can be at this level and for the Ryhope teams. We’d like to wish our neighbours Sunderland RCA the best of luck against Clitheroe and beyond, bring the FA Cup to Ryhope boys.